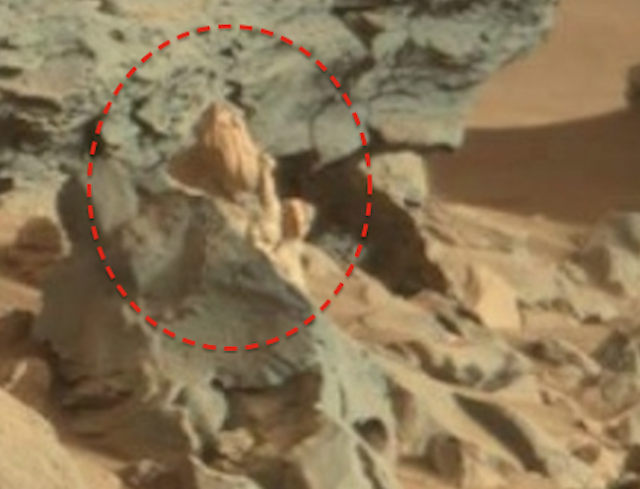 UFO SIGHTINGS DAILY: Old Man Found On Mars Looking At Rover, Oct 20, 2015, UFO Sighting News. 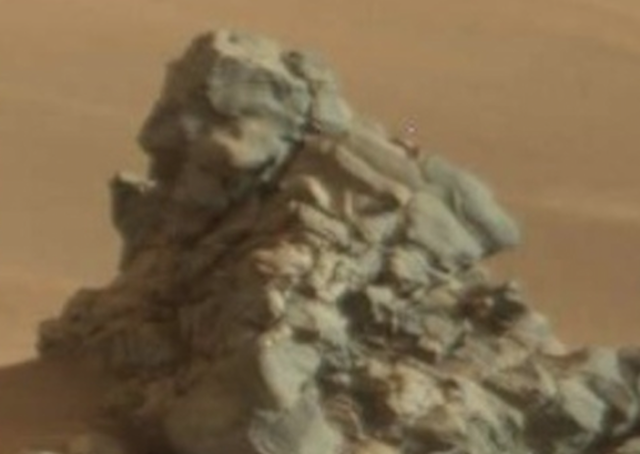 Old Man Found On Mars Looking At Rover, Oct 20, 2015, UFO Sighting News. 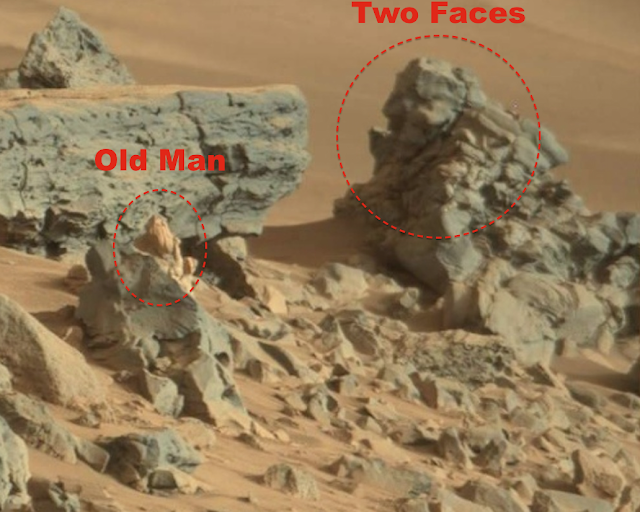 I found this old man statue standing behind a rock. The odd thing is it seems to be peering at the Mars rover. Perhaps is a living person. 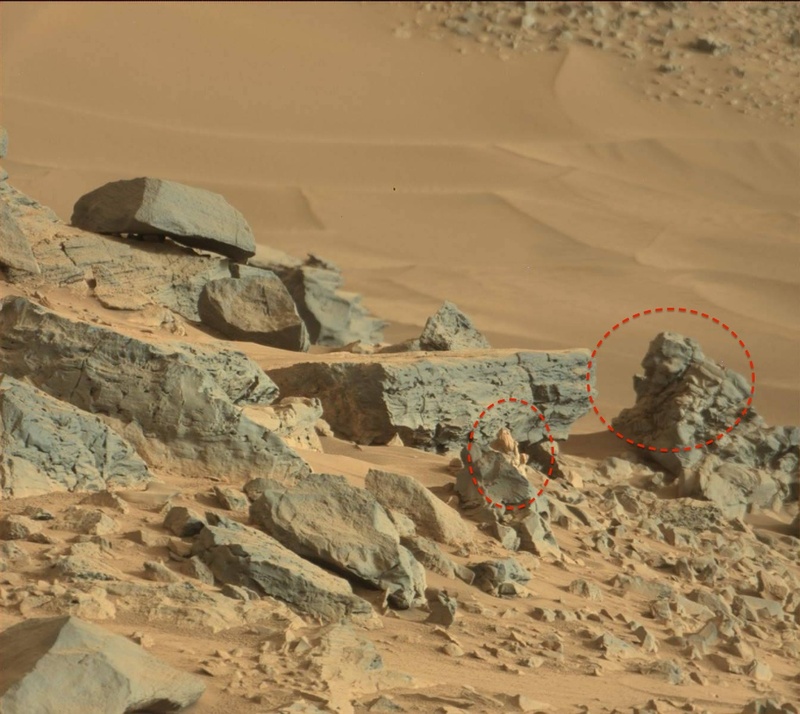 Many small human-like beings have been found on Mars. Near the person there are several faces. 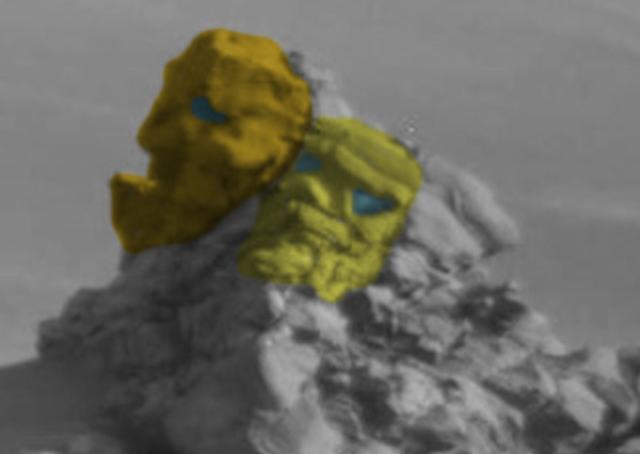 I added color to two of the faces so you can see them more easily. One of the faces also has a beard and moustache much like the old man figure. I colored that one yellow. The orange colored face is of a species that looks nothing like us.